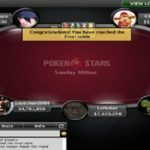 bob43155, a professional poker player and a native of Mexico has won the prestigious Sunday Million special event at the world championship of online poker 2016 for a good $407,633. 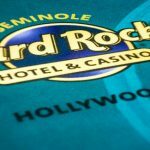 The event #54 was special Sunday Million event for $2,100 buy in No Limit Hold’em, which attracted 1.304 players from around the world and generated a whooping prize pool of amount $2,608,000. 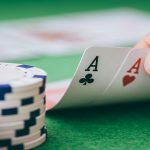 Top 143 finishers of the game were paid out. 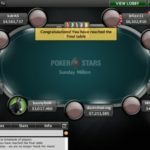 The final table included some of the top poker pros such as bluesky30, BringTheDing and Ryan ‘HITTHEPANDA’ Franklin, but it was bob43155’s day at the end. Total 179 players survived on Day 1 of the game. 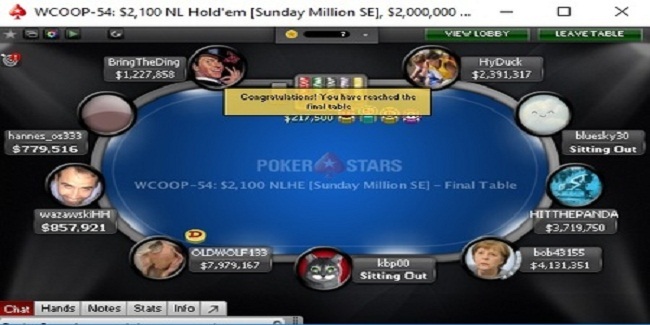 The final table took place from Level 37 with blinds at 30K/60K and a 7.5K ante. 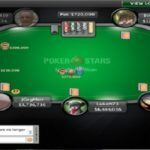 Seat31, seat#2 and seat#3 for HyDuck (2,391,317), a Latvian poker player, an Australian bluesky30 was at seat#2 with total (3,403,696) chips, while HITTHEPANDA from Canada had 3,719,750 chips with him. 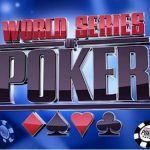 Seat34, seat#5 and seat#6 belongs to players from Mexico, South Korea and from the United Kingdom and they were bob43155 (4,131,351), kbp00 (1,589,424) and OLDWOLF133 (7,979,167). 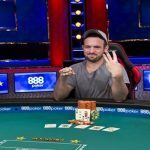 Meanwhile Canadian wazawskiHH (857,921) was at seat#7, Austrian hannes_os333 (779,516) was at seat#8 and BringTheDing (1,227,858) was at seat#9. 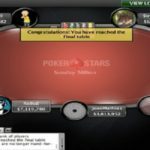 The first man to hit the rail from the final table was BringTheDing, a pro from Norway, who made $33,969 from the tournament, being ninth player. 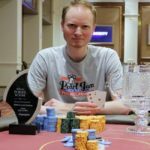 Then goes an Austrian hannes_os333, playing against bob43155, who collected $46,343.11 from the tournament and finished his journey being eighth player. 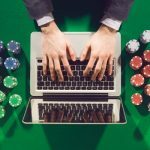 OLDWOLF133 started playing tough against other opponents and that yielded HyDuck, a lativian poker pro to hit the rail for a good $63,223.